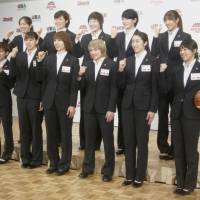 WNBA forward Ramu Tokashiki and veteran point guard Asami Yoshida will lead the “Akatsuki Five” as the Japan Basketball Association announced the 12-player women’s national team roster for the upcoming Rio de Janeiro Olympics on Monday. The provisional squad returned from its training camp in Europe on Monday, and head coach Tomohide Utsumi notified the players who would go to Brazil in August when the team arrived home. 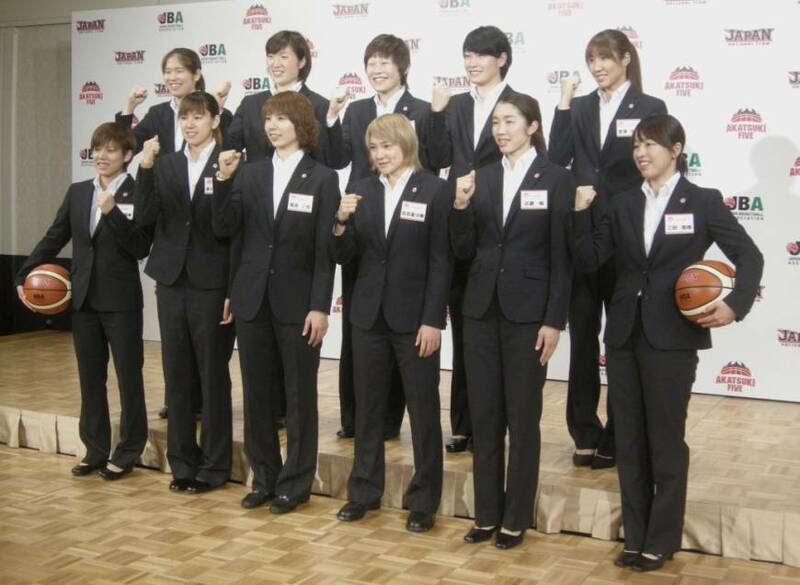 Tokashiki was the only player in the 18-strong provisional squad to miss the European trip, as she is currently competing for the Seattle Storm in the WNBA. The majority of players in the final squad for Rio also helped Japan capture the FIBA Asia Championship title last fall in China. Utsumi picked three players who did not compete at the Asia Championship — shooting guard Kaede Kondo, point guard Naho Miyoshi and forward Moeko Nagaoka — over veteran Ai Mitani and shooter Chinatsu Yamamoto, both of whom contributed to the continental triumph. Yamamoto averaged 9.1 points and 35.5 percent from 3-point range while Mitani notched a 3-point percentage of 45.5 percent at the Asia Championship. Utsumi said, however, that the two came up short in meeting the team’s expectations and that the three new players coming in would satisfy his team’s needs, especially in long shooting. Kondo, 24, said that she was surprised to make the Olympic team but would like to help with her one-on-one skills, which she thought she had shown in her performances against international players during the European trip. Japan beat France, Serbia and New Zealand and fell to Turkey and Belarus in exhibitions during its European trip. The team will hold another training camp in Prague between June 16 and 28. It will also play a three-game warm-up series against Senegal in early July in Japan before it heads to South America for its final preparation ahead of the Olympics. Japan is in Group A for the preliminary round along with Brazil, Australia, and three others yet to qualify.